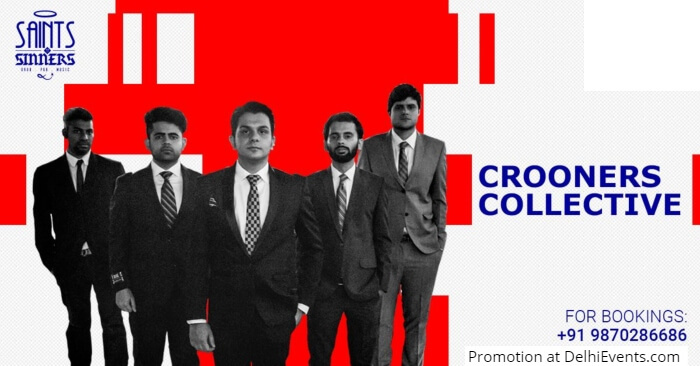 'Crooner's Collective' is a band comprising of extremely talented and experienced musicians within the Delhi music circuit. Their music offering comprises of classics from the golden era; songs from the likes of Frank Sinatra, Neil Diamond, Louis Armstrong, Elvis Presley, Chubby Checker and many many more. The band's musical experience transports you back in time to the good old days of crooning, big band orchestras and pensive music. With a set-list designed to serenade audiences with the really old-school charm, the band has conducted successful performances across Delhi NCR.